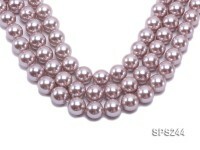 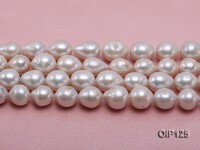 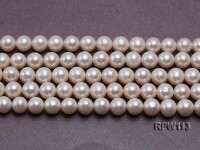 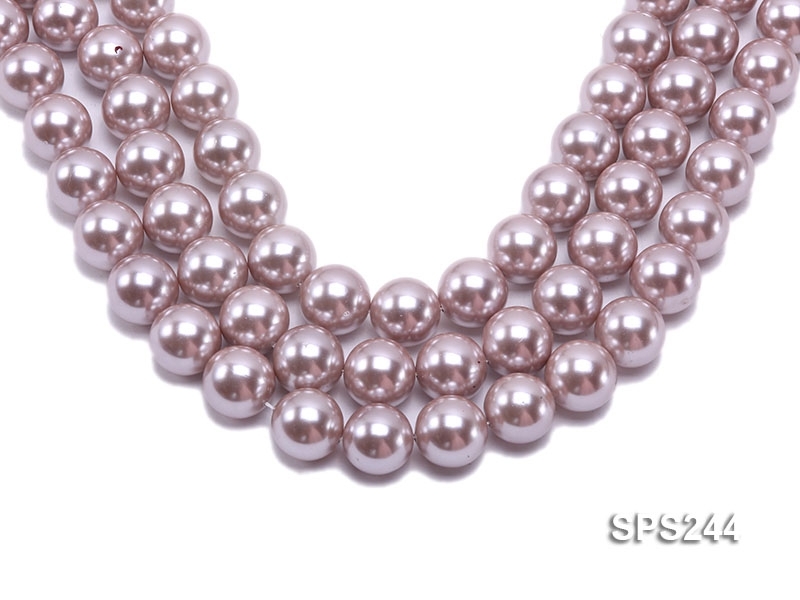 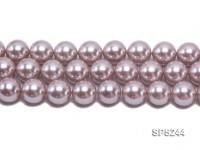 Wholesale 18mm light lavender round seashell pearl strings. 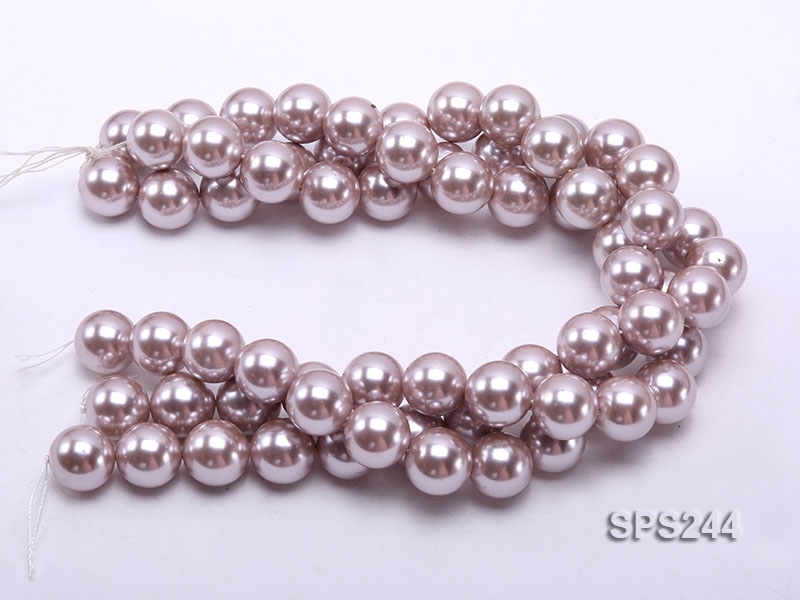 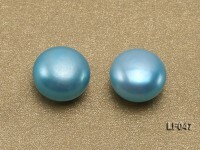 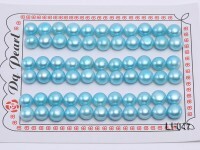 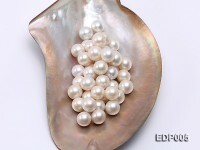 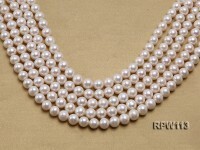 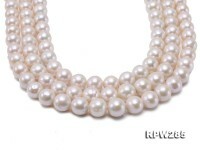 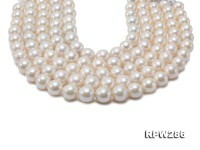 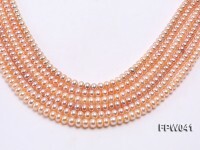 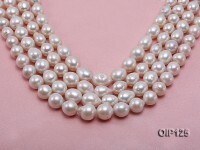 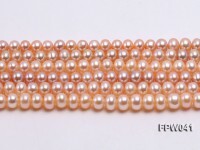 The seashell pearl beads are perfectly shaped and as lustrous as seawater pearls. 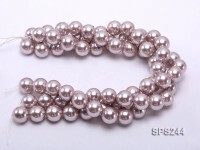 It’s highly recommended to DIY seashell pearl necklaces and bracelets in stylish designs. 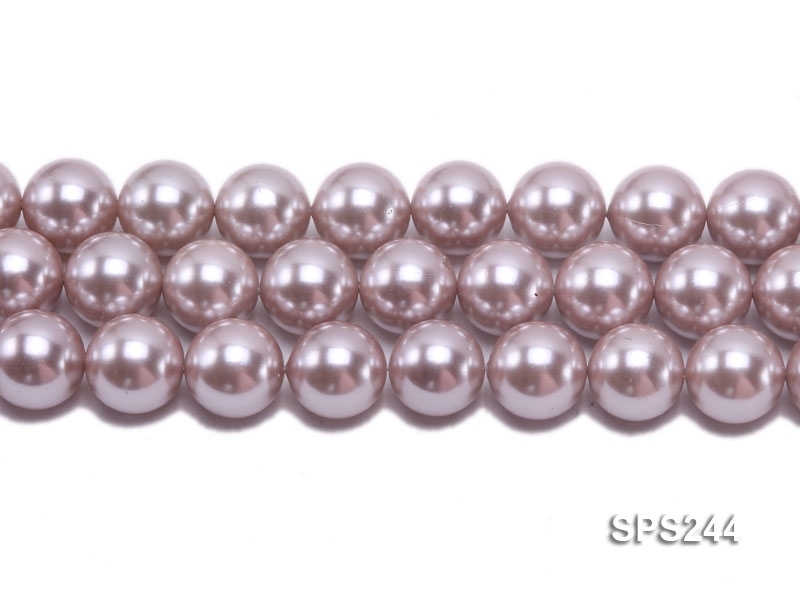 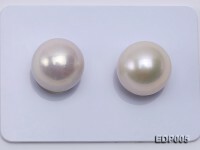 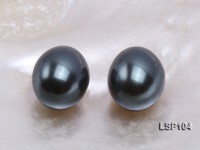 Seashell pearl enjoys increasing popularity not only because of low cost but also its impeccable form comparable to seawater pearl. 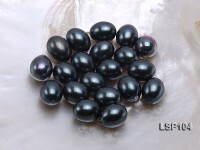 You’re welcome to purchase in bulks.